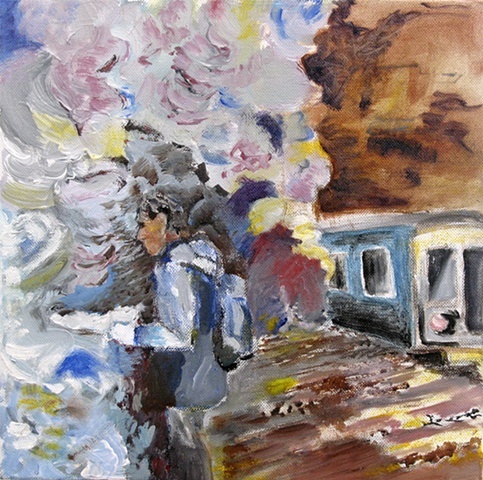 Here is an example of the disturbance of the mundane.This is the first painting in the "Trains" series. As most of my recent work, the “Train” series deals with time. Here we have an added element of ”the fleeting moment” which is romantic in a way. A train passes by and disappears, never to come back.